Regardless of your ship's actual capabilities, there's a real psychological advantage in solo PVP to flying something uncommon, or which generally has a reputation (rightly or wrongly) for being less powerful than some of its peers. Fly a common ship with a reputation as a strong PVP vessel, and your opponents will be both cautious and informed. Fly something unusual and underestimated on the other hand, and your opponents will be both uninformed and overconfident - exactly how you want them. Anyway, I'm getting ahead of myself. I quickly fell in love, and the dual prop merlin soon became my standard fit for RvB fleets. While I'd advise against it for solo work, I'm a big fan of dual prop for gangs - it allows you to chase down and scram fast targets while still having the survivability of an AB fit frigate once you've done so. The merlin in particular is great for this, since like the jaguar it can fit dual prop and still have room for a hefty MSE shield tank (while most other frigs capable of dual prop have to settle for a more fragile armour tank). As with most dual prop fits, this one is pretty tight on powergrid and will probably be difficult for new players. This fit is quite a bit more fragile than its shield tanked counterpart, although the tank is still reasonable (it's roughly similar to an armour tanked incursus, or rifter without a rep). However by freeing up the 4th mid slot, you gain almost complete control of most engagements - both dictating range and crippling your opponent's ability to respond. This fit is excellent against any turret ship which can't control range against you, meaning punishers, shield tanked rifters, and any interceptor other than the crow or the taranis (if the latter is AB/scram/web fit). An alternative version (which I didn't get to try) swaps the tracking disruptor for a second web, virtually guaranteeing range dictation against any target (although you're likely to still take some damage from other frigates packing t2 long range ammo). If you don't have pulses trailed (and let's face it, most caldari pilots don't), both of these options also work fine with rails - the trade-off is that if your target does get close, you may not be able to track them. That's about as far as I got with the merlin - shortly after this I shipped off back to Agony and back to my usual inties, AFs and the like. That said, I was very impressed by ther versatility of what I'd always considered to be a quite unremarkable ship, and I hope from this article you can begin to see where I'm coming from. Who knows, maybe next time a young caldari pilot asks you how they should get started in PVP, you might even hesitate for a moment before suggesting they train for that rifter! Amen to that. The only problem I've ever had with the Merlin was its Powergrid...it isn't even that small really, but considering 200mm ACs are as easy to fit as Electron Blasters, it's no wonder that Hybrid frigates have trouble with getting everything to fit. Unless pilots know your fit, which sadly for me they do, it catches most out. When seeing a Merlin most will load EM/TH damage and whilst the armour tank is smaller the wrong ammo buys you more resists. I like the 200's as they also allow you to close range on article/long range fits and brawl it out. Also just started testing an MWD Missile/Arti fit too. 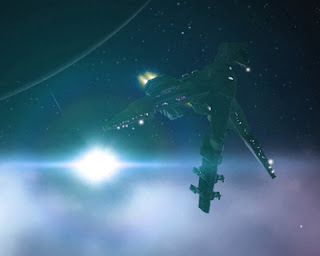 Providing you have the time and they are not active tanking you will take down most frigates. In a lot of gaming, especially mmo's, if something is not the very best in whatever particular category, then it's considered useless. You can thank the min/max'ers for that. That's the reason so many people suggest the Rifter over everything else. Because it's considered the best tech 1 combat frigate, everything else is useless and you are doing it wrong. I fully agree with the sentiment that being underestimated can win you more fights than just being in the best "so called" ship. Nice to see somebody else pushing something besides the Rifter. I'm a huge fan of the Tristan myself. Last time I went to make a movie, sadly almost every fight was with a Rifter (they all died to the Tristan BTW). Check out my blog if interested in watching it. But yea, thanks for helping my efforts in showing people the Rifter isn't the end all solo pwn mobile. Thanks for this! As an extremely new player and recent member of RvB this is a great goal for me to work toward and gives me an idea of what I need to look for to be a more useful fleet member in my trusty Merlins. Thanks again for all you do! I'm certain I have better skills for Rifters than Merlins, but when I fly frigates, I usually fly Merlins. When everyone drives Honda, sometimes you just have to go Toyota. I used to love having a Merlin in my gang back in my pirate hunting days. A Merlin with 2xSEBO(Scan Res), Disrupt and 1mn MWD makes an excellent cheap quick lock tackle frigate for catching those pesky pirates who think they are immune when flying around low sec in their frigates. Sure, sure, you could do this with an interceptor, but for a new pilot wanting to help out its a perfect ship as it comes in under 1m ISK ship + mods. I flew a Merlin in RvB too. It is a great PvP ship and also a good tackler as it has some tank and can hold tackle against neuts if you swap the rockets for a NOS or 2.